Our precisely engineered range of Planing Machines offer high effectiveness to the user and is well known for its rigid construction and highly synchronized parts. These are customized as per the requirements of our clients and are available at industry leading prices. Further, our warehouse facilities are also provided with appropriate packaging and delivery processes to enable optimum satisfaction of our clients. We have in store for our clients, a range of heavy duty Planing Machine, which finds application in General Engineering Industry. 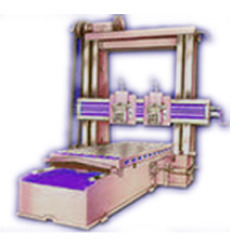 Planing Machines are used for smoothing and surface finishing. These are known for efficient performance, robust construction, easy operation and longer functional life. Looking for Planing Machines ?